Introducing The Zee,ess Concrete Coffee Table. The Atakah coffee table is a masterpiece of modern design crafted from bentwood and wooden composites. INoV8 Handmade Furniture manufacture its furniture to the highest standards using traditional manufacturing methods. 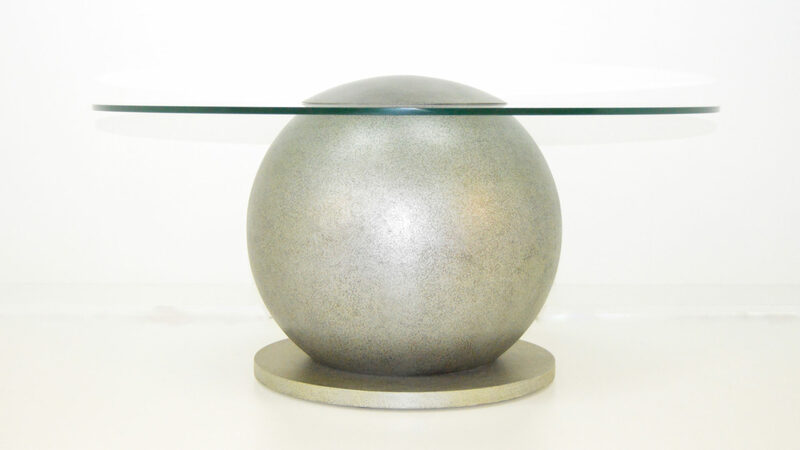 From which ever angle you view The Atakah Coffee Table its stunning circular frame the table catches the eye. The sculptured frame is shown off by a polished 8mm toughened glass top which gives a clear view of the stunning frame whilst acting as a practical table top. To purchase please contact us either by calling us on (021) 557 8363 or filling in the contact form. To learn more about our terms and payment conditions Click here.